Solomon Berhe, chief of the PFDJ chapter in Dallas, Texas. 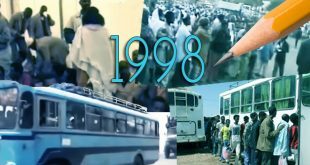 Since May 24, 1991 when Eritrea became independent, the anniversary became more and more polarizing with each passing year. While the supporters of the Eritrean ruling party framed the day as an occasion for propagandic celebrations, and attributing the independence of Eritrea to the repressive regime, as if it achieved it single-handedly, others, including the veterans of the arduous struggle, consider the day an occasion to lament, remembering the lost opportunities, coupled with the betrayal of the Eritrean cause. Yet, both agree on the significance of the day. Independence days is celebrated all over the world, mainly in events “centralized” and controlled by the government’s operatives, in “community centers, which in reality are chapters of the ruling party, though camouflaged as a hyphenated “Eritrean civic and cultural association centers.” The loyalists who run those outfits do the regime’s bidding and often engage in obnoxious acts, including extortion, collecting illegally imposed taxes from Eritrean, defaming opponents of the regime, and anyone perceived as disloyal to the regime. 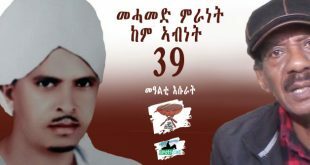 As soon as the regime loyalists finish celebrating May 24, they embark on preparing for the yearly summer festival: those who perform the yearly pilgrimage to Eritrea participate in the major events there, while those who couldn’t travel, attend in the parallel festivals that are held in one city in every continent. Eritreans who are held hostage by the regime to secure consular services, pertinent to passports, properties, inheritance, etc, make sure to attend the festivals to remain in the safe books of the regime. However, though many people observe a serious deficiency in the make up of the attendants in such events, the regime and its support base do not seem to seek a genuine solution for their embarrassing failure to organize a representative attendance that reflects the Eritrean diversity–entire social groups do not feel welcome in such festivals. Worse, in their attempt to hide such embarrassing situations, the callous regime and its supporters, who claim to have a diverse support base, have failed to prove its claim. Yet, to cover up the glaring deficiency, they delve into foolish and more damaging practices. Unfortunately, the thread of Eritrean unity is getting thinner; it’s being stretched by the repressive situation that the ruling party has created and is perpetuating. Social mistrust that is exacerbated by the regime is one of the main reasons behind the failure of Eritreans to redeem their country from the yoke of tyranny. Mistrust is also one of the reasons for the incompetence of the Eritrean Opposition forces which reflect the social Eritrean divergence. Sadly, the national unity that Eritreans cemented during the long struggle for independence is being damaged by the incompetent governance and lack of basic freedoms in Eritrea. Consequently, entire social groups have abandoned the regime which in its twenty-five years of rule, has failed to even acknowledge the deteriorating social cohesion or show some interest in a national reconciliation. The regime that is guided by the maxim of “Might is Right”, rules Eritreans with the might of the gun. 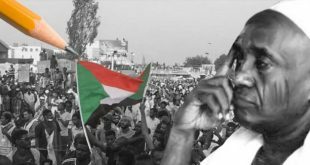 In the process, it has marginalizing social groups, criminalized political organizations, suffocated civil liberties, and made Eritrea a pariah nation that jumps from one battle to another, gets entangled in regional military adventures, and continues its unabated assault on the freedoms of the Eritrean citizen. So far, Eritreans have shown admirable restraint and have refrained from violently facing the regime. But social patience is not without bounds though the regime considers patience a sign of weakness; anxious Eritreans dread imagining a day when patience might run out—persistent repression cannot continue unchecked, and certain forces might be tempted to resort to violent means to regain their dignity and usurped freedom. In short, if a spark of violence ignites, considering the volatile region where Eritrea is located, there is not telling how far and how fast the fires will spread, and it may prove to be difficult to extinguish. The government’s idea of upholding the rights of social groups is limited to showcasing their folkloric dances. It’s endless make-believe gestures of music and dancing by cultural troupes cannot substitute a genuine embracing of Eritrean diversity. At the moment, the actions of the regime and the apologetic postures of its Diaspora affiliates in defending its catastrophic policies, is only limited to invoking derision—and that cannot continue indefinitely. A few Eritrean social groups have been feeling insulted for too long. 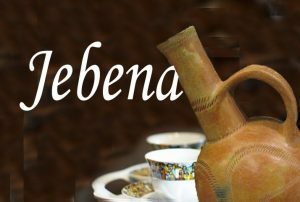 The so-called “Eritrean civic and cultural association centers” around the world have never organized literary events, or meaningful social, or political debates and dialogues, except the all-night long party of drinking, singing and dancing but is doing unimaginable damage to Eritrean unity. The American movie industry solved the lack of black and Native American actors by pretensions; the core group of the ruling party seems to like the idea of pretensions. If the regime is short of supporters from a certain social group, its loyalists will masquerade as members of the lacking social group. It is like what Hollywood did to resolve the lack of native American and black actors: adorn a white actor with feathers, and draw random lines on their faces, or smear their white faces with black shoe polish–never mind unpainted pink linings that remain under the eyelids and the lips. That is what it takes to have someone masquerade as a black or Native American actor. For instance, Isaias Afwerki donning a leather jacket full of feathers doesn’t make him a native American, even if he can ride a horse. The PFDJ regime is playing that trick to remedy the lack of diverse Eritrean support base. Sadly, the loyalists never ask why their meetings doesn’t look like an Eritrean gathering! They wouldn’t ask since they are conditioned to believe that Eritreans who do not support the regime must be traitors and hirelings in the payroll of this government or that agency from the enemy-list of the regime. That is why they have no qualms in making outrageous statements or devising embarrassing acts to hide their shortcomings–they would rather masquerade as Eritreans from the missing social groups instead of trying to find a genuine solution that would enhance the Eritrean unity. This year, the summer festival in the USA will be held in Seattle, Washington. Loyalist centers across America have been assigned ethnic groups and regions they will represent. According to a loyalist, “major cities will represent the Saho social group, or the Hedareb, Blen, Afar, or any other groups, and all Eritrean diversity will be at full display in Seattle.” The preparation for the summer festival is in full gear. This is an illustration of how the ruling party and its loyalists treat the sensitive issue of Eritrean unity and social diversity. And one cannot help but wonder: who are those who have “to be able to look like them”, or like the people of Sahil? Why do the PFDJ groupies fail to attract the people of a region (a major bastion of the Eritrean struggle) to the extent that they are forced to play the role of the people of Sahil? * You can listen to the clip published on the May 2 Podcast in full or starting at 01:02:09 mark. The language is one, the people are diverse, they interact with their respective neighbors, they influence and get influenced; nothing is static. Hi Haile, there is nothing wrong if I wanted to know the origin and the base of the language. Always, the Eritreans are the once who mock the Tigryans when it comes to Tigrigna language i.e. I am assuming the Tigryans took the language from Eritreans. fi not, why would the Eritreans make fun of Tigray Tigrigna? You didn’t answer my inquiry. besides what do you mean when you say ” they influence and get influenced;” who is They? I just felt that your ‘lol’ drove you interest beyond enquiring the origin of differences. On making fun, I believe the Tigryans make a lot of fun of our Asmarino Tigrigna too. Hi Haile, my take is you took it negatively. I was just curious to know what came from where. I was just imagining if some grandpa had to come to the US from Tigray and all he wanted to say to his grandchild is ” come here” and the American kid all he hears is ” come Lousy” that why I was lolling. Anyway, I have one advice for you; never make assumption. I apologize. You are right. But my assumptions were based on past vivid discussion on such issues in the past in this forum. Perhaps you should read a little about development of languages and dialects. You will find out that no one group of people copies a language and modifies it intentionally. 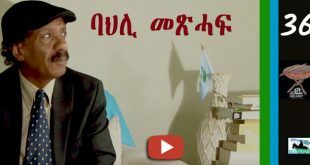 If you would take the time to watch the many dramas based on historical figures transmitted by Eri Tv, you will notice many of the words you listed under “Ethiopian Tigrigna” are spoken by the Eritreans of old times. There are different dialects within Tigrigna both in Ethiopia and in Eritrea. I know that Mekele University Tigrigna Department is gathering dialects form several parts of Tigray before they are forgotten. The language is evolving and the increased sharing of films and music video is creating a blended modern Tigrigna. After the border war, a number of young men from Addis were harassing Eritrean women because they thought they were from Tigray. Growing up in the Addis, they hadn’t come across a relative that had a tattoo on the forehead or a helix earring “suqrien” (a small earring on the top of only one ear). Thus they assumed anyone with those markings must be from Tigray. I hope that you will be able to travel inside Eritrea and appreciate the full diversity of the people. I fully understand your laughter, having laughed at my own parents for their “village” style Tigrigna. But I wouldn’t deny their citizenship based on that. 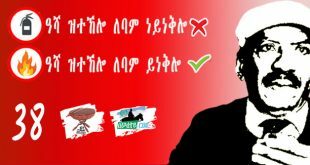 HI Abrehet Thanks for your take. I have to admit I have no clue regarding this subject I have initiated. Although, you did a good job summarizing the issue but still I don’t understand why some Eritreans make fun of Tigryan’s Tigrigna dialect. Again, I am just saying it but honestly this is way over my head. Since you want to know more, let me volunteer something. The dialect overlaps in the border areas. Do not be surprised if you find Eritreans with the same dialect as in some parts of Tigray and. Ice versa. The mistake Eritreans make is that they consider the Asmara dialect the yardstick. It’s not because there are many dialects in Eritrea. Dialect definition from Cambridge Dictionary: A dialect is a form of the language that is spoken in a particular part of the country or by a particular group of people. There are many different dialects of English and they have different words and grammar. Most learners of English learn the standard dialects of the language. It’s just dialect differences as they exist in every language including The biggest ones including English and Arabic. Since some Italian dudes woke up one Monday morning and decided this is Eritrea and this is Ethiopia, you can call it “Eritrean” Tigrinya and Ethiopian Tigrinya for politics but if you consider the intra-Eritrean and intra-Ethiopian differences in Tigrinya dialect you would not define it as Eritrean and Ethiopian but by its distinct geography within each country. Agame and Shre are both inTigray but their dialects are very different; ditto with say Kaneshm and Tsorona within Eritrea. Hey SAAY; just thinking out loud, does it mean, then that the Agazians have a point? I don’t if I am way out of it but reading your take, it made me question the whole thing. I know SAAY, I have no idea. Whatever “point” the Agazians have the minute they rationalized for themselves hegemonic power and created first-class and second-class citizens and the second that their most famous member announced that the way to treat unruly Eritrean minorities like the Saho and Jeberti is the way Burma Buddhists are dealing with their Muslim minorities, whatever point they may have is a nothing but hate speech by totally irresponsible people. Otherwise they are entitled to aspire for a Pan-Tigrinya nation the same way Ali Salim came up with his Bejastam: just do it peacefully without threatening people who oppose you with dire consequences. This is just extremely childish. Is there anything funny with languages? That it’s not a complete copy of your dialect? Opinions, for the most part are subjective and at times outright egoistic. So much so, even an admirable effort of an intelligent middle of the road and an unbiased analysis of an issue, especially an hot button and/or all things Eritrea has eluded us all to get to a concession and to an agreeable middle ground. We love this young nation so much, each of us wanted it made in our own image, rightfully so, for we and or each of us has invested so much blood and sweat, and is some how tied to it in an intricate emotional bond that crossed generations and out of love of this beauty we all as individuals, tribes, races or religious sects, yearn for its affection and its attention and wanted to be known as the ones who did more than the other and thus deserve the spoils. There is really nothing wrong with that though. It is healthy.The word is “We all Love Eritrea”! If we do believe of this of each of us then we definitely would have tolerance to, even, the extreme and the repugnant (perceived upon) ideas amongst us, because such an idea is based on a core beliefs that may not play to everyone’s tune but good enough to the part of the Eritreans who see it as a way forward for a better nation. Having said that, if you only see and hear evil of the gov. Of Eritrea and you have nothing good to say whatsoever? You are an emotional wreck, whose future prospect is no more better than the one you despises. Your contribution is instrumental in prolonging your imaginary enemy. If you hate it so much and wanted it slaughtered right now, it will make sure to avoid you at any cost and do die naturally instead. That will be a long, long time in the future. Born and raised in Aqurdat, fought in Jebha, spoke multiple Eritrean slang and know my diverse traditional back ground real well… Now, because my name is yonas I can’t role play a Beni Amir or an Hadendawee Eritrean man or woman in North America? I am one hundred percent sure, the non Khebesa Eritreans would be proud and give respect to, “Christian Tigrignans” for putting an effort to role play them in occasions. Who wouldn’t? 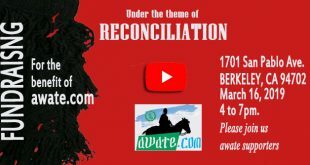 Imagine a Bedaweet speaking Eritrean in the Eritrean Islamic Jihad Movement was to role play a Tigrignan traditional person in an occasion meant to celebrate Eritrean unity in diversity, That would be so humbling enough even a Coptic Eritrean priest wouldn’t mind joining them. One act with a cosmic ripple effect. wouldn’t that automatically soften your heart and never to be fearful of an ideology (supposed extreme), with such an acronyms” Islamic, Jihad etc..as a Christian ever again? Your hate is the fuel that drives the engine of your enemy. Oh no, not at all, I am not preaching the gospel “give’em the other chick”. Well, in hind sight, I will make an exception, I love Erirea and Eritreans so much and have suffered immensely for the same cause together, I will give the other chick just to cross my point. 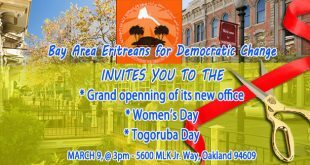 Let’s find some goodness in what we do for the sake of Eritrean. You can not change your Identity or your Tribe, just by wearing clothes or costumes, it is a God given. By the way, this is for our Tigrinia Community. Just admit it, you put Eritrea in this situation since 1990’s. Dressing for the other 8 Communities for Celebration in USA, Canada or Europe will not change the Facts. Let us hope for the best for Eritrea and does not end like Somalia or Libya ( Whom both share Religion, Culture and Language ). The second name of “Hizbawi ginbar” was “Esate gomera”. There is even a song with something like “hizbawi ginbarey Esate gomera…………………….”:) Every time I hear about the thousands of my young brothers and sisters fleeing the old “hizbawi ginbar/Esate gomera” now “Hizbawi ginbar with the symbolic addition “Fit’hi democracy”, it makes me to think about the “esate gomera” part of the name. Should they have thought that the “esate gomera” part was planned for execution on the people who were in the “ginbar” or “Front” as well? “Nai behaki Esate gomera”!! 3. The difference between ህዝባዊ ግምባር and ህዝባዊ ሰራዊት is very significant and monumental. ህዝባዊ ሰራዊት is the Armed Forces of ህዝባዊ ግምባር. 4. If only people would speak of what they know. It is best you tread on the waters you know. Eritrean Giant Icons your feeble and messy ink will never smear. The song is iconic. Awate is missing the elephant in the room, which is the demographics of Eritreans in the United States. As a person who has traveled to most cities with large Eritrean populations in the U.S., the demographics of Eritreans in America is dominated by Tigrinya people [My educated guess is 85-90% Tigrinya people]. The same way people are far more likely to run into a Christian Lebanese than a Muslim one in North and South America, even though in Lebanon they are close to 50/50 in representation. Even the few minority ethnic groups I have encountered looked Tigrinya to me at first. For example, my close friend in high school invited me over to his house. I was surprised to see his mom speaking in Tigre to his dad. For nearly a year, I thought he was Tigrinya. The next day, during breakfast at school, I asked him if he spoke Tigre and he said, “no, my parents taught me Arabic and Tigrinya”. Of course he had forgotten Arabic because he had no one to talk Arabic with in America but was able to maintain his Tigrinya because our city had a sizable Eritrean population. So you can’t go based on sight alone because I would bet a good portion of the people we perceive are Tigrinya people at festivals could, in fact, be other ethnic groups. This is America, no one is wearing traditional outfits (the youth certainly aren’t). So unless you actually go take a survey, you can’t base ethnicity on appearances alone. Looks are always deceiving. Awate is saying the minority ethnic groups of Eritrea are not going to government meetings and to give the illusion they are, government supporters of the majority ethnic group are representing them on their behalf. Okay, that’s fair. But what Awate fails to inform its readers is the opposition’s meetings are even more dominated by Tigrinya people. Where are the minorities at opposition protests and meetings? The only rational answer for this is the demographics of Eritreans in North America is dominated by Tigrinya people. To say otherwise is a lie. You are saying North America. Is it including Canada? If so can your statistics tell us? Yes, even Canada’s Eritrean demographics is dominated by Tigrinya people. Although not to the degree as America’s. I know you’re alluding to Toronto in which there is a noticeable Tigre population but Tigrinya people are still the clear majority there. I’m 27 years old and every non-Tigrinya Eritrean i’ve met around my age group speaks Tigrinya. And visually speaking, had I not known their ethnicity, I would have assumed they were Tigrinya. And I think that’s the issue at hand. We assume they are Tigrinya until proven otherwise. Thank you for letting us know about your age, but you sound too racist for your age. From your writing you don’t seem to stand for the minority ethnics in Eritrea. From the tigrigna group, you sound to support the Issayasists. Your mind sounds too small to think out of the box, you will need help, brother!! Selam Thomas, according to his age Robel was born just a year before Eritrea was liberated from the Derg occupation. I feel really sad when so young people as him have been brainwashed to such an extent to espouse the bigotry of certain Tigrinya chauvinists. Thank you for diagnosing me as a Tigrinya chauvinist. Now let’s get back to the topic at hand: Why are opposition functions in North America dominated by Tigrinya people? Do minorities hate the opposition? Or is it because the demographics Eritreans of North America the real reason for Tigrinya over representation in both government and opposition functions? Selam Robel C., my chauvinist claim is based on reading some of your comments in the other thread where you brag too much about what you called “the Tigrinya people are the most educated people in the Horn of Africa”, without any research or evidence to confirm your claim. Also in those comments, you put it as if there is a confrontation between the Tigrinya people and the rest; coming up with boastful arguments like “I think at some point, they [ the Tigrinya people] are going to say, “we don’t need you”. They can’t keep turning the cheek forever. Either you grow up and come to your senses or your going to see what a real failed state is going to look like with you (Tigrinya bashers) running the show and no Tigrinya there to help you.” In my book such views that belittle other social groups as inferiors, whose well being is dependent upon the good will of the Tigrinyas, is nothing less than a chauvinistic attitude. My greatest wish is that not many of the post independence Eritrean generation are victims of such type of destructive attitude, which doesn’t bode well for peaceful co-existence of our diverse peoples. As to your question, I also have similar view regarding the skewed demography where the Tigrinyas could be overrepresented, but this doesn’t mean there are not serious and genuine grievances from our smaller social groups (in percentage) towards the undoubtedly Tigrinya controlled and dominated PFDJ regime. How many writers on Awate claim their minority ethnic group is special and their culture is so unique and if not careful, their unique culture will be eliminated by the big evil Tigrinya people? Therefore they recommend independence or ethnic federalism as a solution. And I’m like, that’s fine. WE DONT NEED YOU. Tigrinya people don’t need any ethnic group within Eritrea, they can survive and thrive on their own. It’s like these xenophobic writers of Awate think declaring independence was invented by them and that no matter how abusive and xenophobic their hatred of Tigrinya people gets, they can always rely on Tigrinya people not wanting to declare independence on their own. Well guess what, Tigrinya people have every right to say enough is enough, we’re tired of your disrespect, go be bad on your own and declare independence or we’ll do it ourselves. Honestly, I don’t give a hoot about these lousy people disrespecting my ethnicity any chance they get. I don’t owe them nothing. No one does. Regarding my claim that Tigrinya and Jeberti people are the most educated in the Horn of Africa, well this is a truth. This is not because these two groups are smarter than others its because of the opportunities they had via colonialism and the sedentary farming lifestyles they live that gave them an opportunity to be educated. These two ethnic groups have the highest literacy rates in the region. And once you can read and write, the world’s information is at your fingertips via the internet. I’m not a victim of nothing. You’re a victim of Tigrinya bashing and thinking this type of behavior is okay. My views are simple: everyone is equal. Until these Tigrinya bashers understand that, they can continue to whine and hate on their own because WE DONT NEED THEM. When they are ready to be productive and provide practical solutions, then they can call us up. Lmaoooooo you are delusional. Tigrinya being the smartest. Do you have know history of eritrea.. Who prior to italian invasion were the top intellectual and scholars ??? You are dumb just like the govt, trying to rewrite history. You all not fooling anyone. Tigre and Muslims are majority population. And always will be. Why Do see so many young Eritrean speak Tigrinya. Government has been tryin to radicate all tribes and all religious. Teach Tigrinya in all public school. Like Mao communist has done and taught your leader. This indoctrination is straight from communist book. Not the Eritrean people leader. Tigrinya will wake up to their cold reality than act like they never did anything. Typically Hebesha. Tigrinya people in position of authority in Eritrea HISTORY only been seen in the last 20 years ONLY. Yet failing horribly. That’s what happen when you let low IQ run something. Your emotional character assassination of my online character wont change the fact that minorities are no where to be found among the opposition in North America. You know you can’t refute my logic so you want to make this about my character. 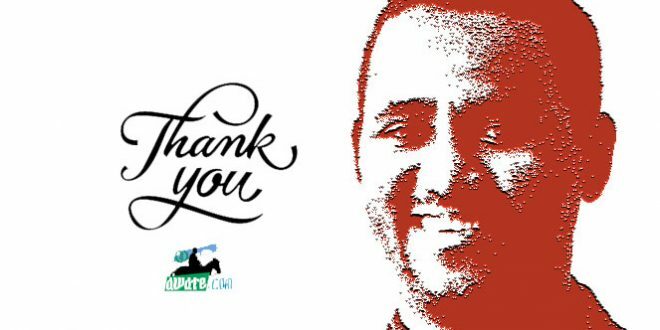 ሰላማት “ደቂ ዓወተ” ኣነ ዝብልሲ ኣብቲ ብዓላት ይኹን ፈስቲባላት ኣይትካፈሉን ኢኹም ኢሉ ዝኽልክለኩም የልን። ተደይ ኮይኑ ክኣ ናትኩም ፈስትባል ክትገብሩ ሃየ እኹላት ተኾንኩም ማለት እዩ። ተደይ የለ ነቲ ካልእ ዝገብሮ ብዓላት ምንሻው ወይ ምፍራስ ምፍታን ካበይ ዝነቀለ እዩ ካብ ቅንኢ? 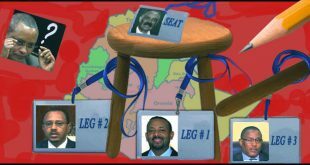 That is called mock representation and this was not new for the regime who polarized and marginalized Eritreans. I remember when it started to recruit staff for its foreign embassies. An embassy staff is hired based on his education and experience but the regime to depict that its foreign delegation is diverse, was hiring a non – Tigrinya Eritrean regardless of his or her education and experience backgrounds. For example if that person happen to be an English language graduate it will send him to English speaking country. I also doubt that the regime is using this policy with its FM just to say its cabinet is also diverse if not why is he always accompanied by Yemane. The former is like what Solomon Berhe asking for while the later is an expert . 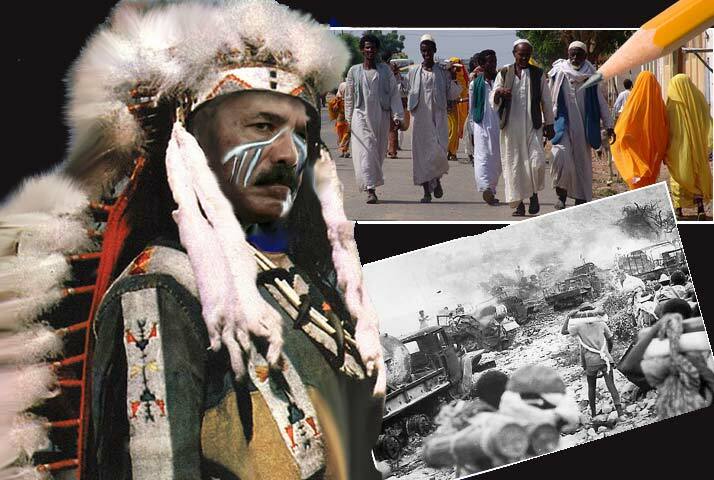 Dear Brhan, I wonder how shameful it must be to be Osman Saleh, or even any of the so-called ministers for that matter. I’m sure most of the talking, and negotiations are done by Yemane Monkey when the two are conducting meetings with the foreign govs. Imagine Osman Saleh introducing himself as the foreign minister while the one really leading the talks would be Yemane G? How awkward would this be for Osman S. and the foreigners? 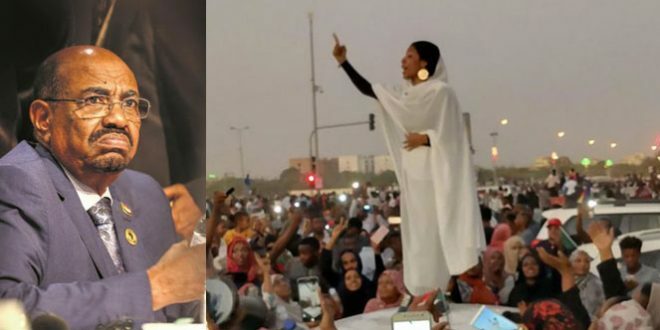 The so-called cabinet of ministers is nothing but a show for the gallery; it is evident that after the dictator, all political issues are handled by Monkey, and all economic issues by Hagos Kisha. Even the secretary general of the PFDJ-Alamin M. Said doesn’t have any significant role to play. It looks like Eritrea has two deputy prime ministers. It is also clear that in the absence of IA , Eritrea will be ruled by Mr monkey. Dear Abi, I think the monkeys and the kishas will continue to be the loyal servants; but the throne is being prepared for the young Ras/Raesi in Tigrinya, you know whom I mean. For a person who never accepted your independence thing , this is a nice drama to watch. You know ፊታውራሪ ሃብተጊዮርጊስ ዲነግዴ ( አባ መላ) was the king maker? Think it that way except this time it is a monkey 🐒 instead of a genius diplomat. What is frustrating here is nobody seems to be paying attention!! Yes , I have accepted Ethiopian independence from Eritrea. Which Ethiopia are you referring to? 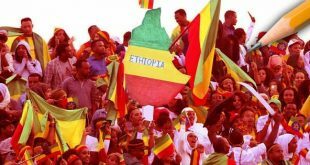 The chauvinist’s Ethiopia that marginalized the Oromos, Somali and the others? ላታ ሓዲጋ ማ ናይ እማታ! The chauvinist Ethiopia that gave all the opportunities in the world to Eritreans. The chauvinist Ethiopia where Eritreans flourished!! The chauvinist Ethiopia that was betrayed by the very Eritreans it helped raised to the top of the food channel. And more…. whatever you said in Tigrinya, I will just add ” ጥራይልካ” in the end . UPTOWN and She loves you Dude! Yes , the same Ethiopia where the chauvinists taught Eritrea was worth dying for. Indeyta! drom “keneminshru gedam geba alu” bela alzefeneshm indiye azamaritwa. Iwnetih new. Kegamm yasweTal. Benerashin lay Ato Amdem gedam geba? min new Tefa iko. Ato Amdie ke Tebabu genet bemeret sefiw ye semayu genet yeshalengal ale? የጠቅላይ ግዛቱ ታሪክ በአጭሩ አትለኝም? ጉድ እኮ ነው!! 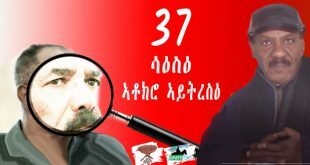 “መብላቷን ሳታውቅ እጇን ታጠበች” መሆኑ ነው? I am going to Eritrea this summer and it turns out my mother’s cousin is a minister so I was planning to have a real talk with him. You could offer any questions, and I will ask him them! PS: Who is this Yemane Monkey that you guys are repeatedly talking about? Why does he stick out, and what has he done? It has always bothered me to see my sisters adorning themselves with any nationality cultural outfit/ornament/hair style without ever asking where are the people whose dresses we are copying? Why aren’t they amongst us? They use as it as a fashion statement and worse as performing their national duty. But I must say nothing tops a ” Secretary of Civic and Cultural association” who cannot get his Jellabiya and Luwyet straight.